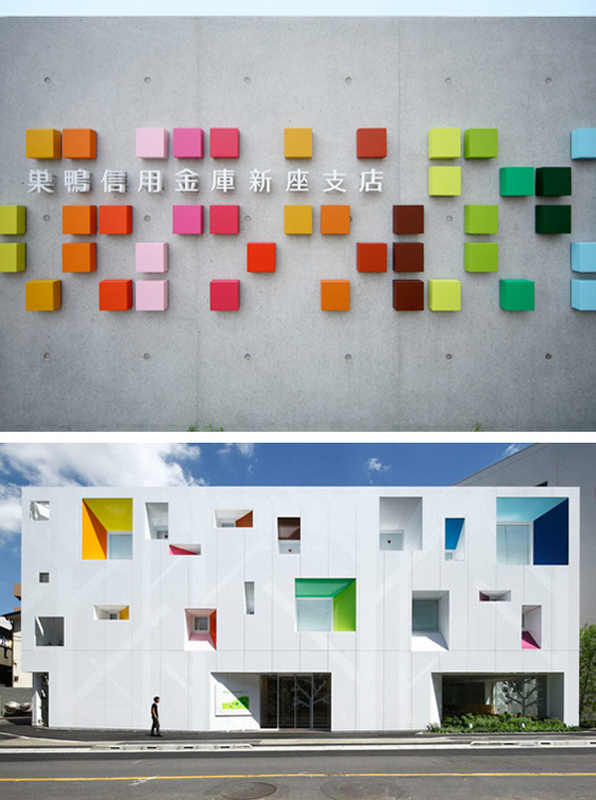 Emmanuelle Moureaux Architecture + Design designed these colorful buildings that are so much fun! Can you believe that they are actually banks in Japan? Incredible! The top one is Shimura Branch and the bottom two are the Niiza Branch and Tokiwadai Branch. Check out the rest of their cool designs most of them full of bright multi-colors here. Their entire website is an extremely inspiring collection of work. Photos : Top images via Dezeen by Nacasa & Partners Inc. Bottom two images from Emmanuelle. these are unreal. 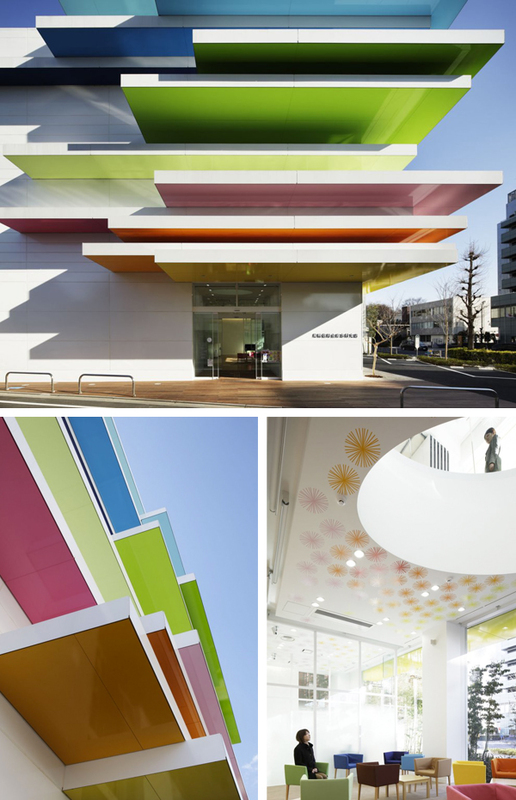 the use of color and space is beyond inspiring! Love that this is a bank... why dont the banks look like that in china??? so fresh! love the colours in the last couple of pics. Those were really stunning architectural designs. It feels fresh if you have those perfect designs. That designs were suitable for a certain establishments. Wow. Now that is a building that would make me stop and stare! Beautiful use of color. I really love way they have played with the facade here; toying with the conventional and expected flat facade and making it a playful canvas for color and form. Anyone who has used Sketch-Up before would have the visual urge to push and pull the modular elements of the building skin - I am so glad they did! The color is like a happy surprise :) Very fun! LOVE the look of building with rainbows!! We just did a post about decorating with rainbows! Came across these colorful cakes and reminded me of this post!